The cute and cuddly pet of fifth-grader Laura, Hamtaro is a golden hamster with an insatiable curiosity. Together with the Ham-Ham Friends, a bunch of hamsters as clever and unique as Hamtaro himself, Hamtaro lives each day as a whole new adventure... complete with fun, excitement, and friendship. Plot Summary: Its Laura's birthday, and Laura isn't paying much attention to him. Hamtaro then went with the ham-hams to ham ham land. Hamtaro is searching for the magic sunflower seed, but, he will have to battle Maou-hamu for it. Lately, Hamtaro has been having a strange dream. In the dream, a beautiful princess hamster tearfully asks for help. Hamtaro can't forget about her, even when he's awake. One winter day, Laura talks to Hamtaro. She tells him that everyone in the family is going home to her father's hometown. When Hamtaro tells his friends about it, Maxwell pulls out a Ham-Ham source book. It's a book on old hamster history. According to the book, there is a "homeland" for hamsters called "Hamja Kingdom". When the Ham-Hams build a sand castle and recite a spell exactly the way it is written in the book, they are whooshed to the Kingdom. When at last the hamsters reach the bustling Hamja Kingdom of hamsters, the popular King Hamja, the Mini-Hams that they've met before in Ham-Ham Land, and many jar spirits called the Mo-Hams appear. A parade begins merrily with singing and dancing! But, the bad magic cat "Sabakunya" appears suddenly, riding the giant sheep monster "Mee Mee", and starts to trample the town. What a disaster! The Ham-Hams flee underground. The Ham-Hams are told of the state of the Kingdom and find that Sabakunya has snatched the King's daughter, Princess Shera, and is pressing her into marriage on the Kingdom's Founding Day. Sabakunya is trying to take over the country. Something clicks in Hamtaro's mind. Princess Shera is without a doubt the princess who appeared in his dreams! Hamtaro wants very much to run to the castle where Sabakunya is, and so he and the Ham-Hams enter the castle. In the castle, they encounter danger after danger, and Hamtaro, pursued by Sabakunya's henchmen, is separated from others. In Aurora Village in the high frozen peaks of the mountians, it's getting warmer, and the snow is melting. The Ham-Hams that live their believe that Bijou is their Snow White Princess who can pray for the snow to come back. They send Crystal the snow fairy hamster to summon Bijou to their land. Crystal arrives and takes Bijou back, the ham-hams quickly tag along. Meanwhile, pirate hamsters are sailing above the village in their flying pirate ship. The captain of the ship, Hamstern sees Bijou captures her soon after, because he doesn't want her to pray for the snow. While Bijou is held against her will, she is very calm and nice to them even makes some yummy food for them. Hamtaro and the ham-hams come aboard on the ship, Hamtaro learns what Hamstern did to Bijou. He gets really angry, and will do anything to bring her back home. Now Hamstern and Hamtaro must compete eachother in the Grand Prix. Where they race in all sorts of ways. Such as racing car. If Hamstern wins, he gets to take Bijou back in his ship. If Hamtaro wins, Bijou can pray for the snow and go back to her friends. Ayayam is a pretty hamster who excelled at everything - as a child-prodigy in school, sports and even drawing and writing. 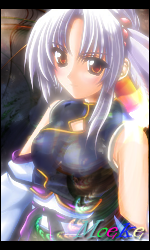 One day, however, she overhears her friends making fun of a picture book she loved and had given to one of them. She is so devastated that she decides she doesn't need friends anymore, locks herself into the library and hasn't taken a single step outside ever since. The God of Books sympathizes with her and gives her a Magic Quill with which she can effortlessly draw any picture and write any story she wants. Meanwhile, Hamtaro learns that Laura and her fellow students will put on "Sunflower Taro" as their next school play. 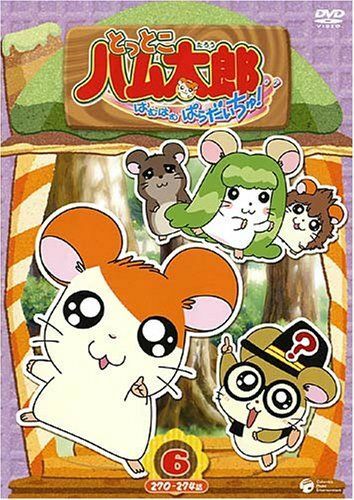 Hamtaro and friends decide that they, too, want to try their hand at acting and prepare their own version of "Sunflower Taro". In the course of preparing for the play, they are suddenly sucked into a strange Picture Book Tower, where Ayayam tells them that they will be characters in her new book - a new and exciting version of the well-known fairy tale "Sunflower Taro". You can tell that things are getting off to an interesting start - as they always do when the Ham-Hams are involved! !